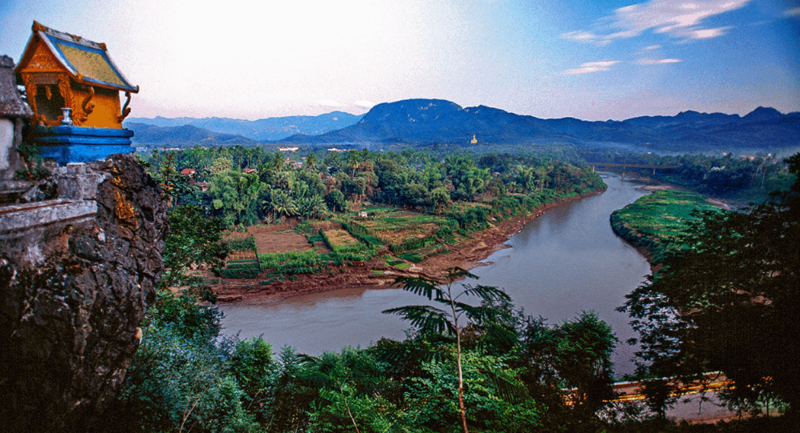 If you have ever heard of the banana pancake trail then you are probably aware that Laos is part of the route. You usually head here after you are done in Northern Thailand or from the Northern part of Vietnam depending which way you decide to do the loop. It is not an easy bus journey to take, as the roads are chock full of potholes so if you do not enjoy LONG bus rides we suggest you fly into Luang Prabang or Vientiane. Some of the most beautiful waterfalls in the world are here combined with the beautiful old architecture found in Luang Prabang and the meandering Mekong River. No trip would be complete without a stop off in this gem in the jungle. If you wake up as the sun is just beginning to rise you will see all of the Buddhist monks in their saffron robes walking down the streets. You will also find many buildings left over from the French colonial days which are still used today. This will seem like a very sleepy little place full of old world charm that has remained largely untouched. If you have looked at pictures of Laos you will most likely have seen the beauty of the Kuang Si falls which are located outside of Luang Prabang. If you go out here with a local guide they will show you the various paths leading up to the top of the falls which are a total of 200 feet high. You do have to pay an admission fee, but it is not much and it goes towards the maintenance of the area. This is considered to be the most sacred place in Laos, and it is found in Vientiane. In fact, you may even recognize it from their seal it is that important. It is believed that this golden Buddhist center has one of Buddha’s bones inside it which is what attributes to its holiness. 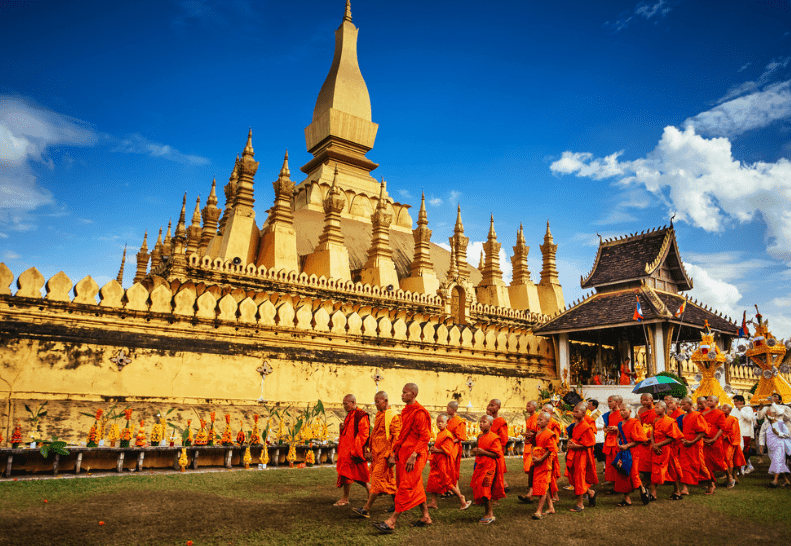 As the capital of Laos, Vientiane is worth a visit although it does not hold the same old time charm that Luang Prabang has. It is very close to Thailand which makes it a good land crossing point. Buddha Park is also an interesting site to check out as it has a whopping 200 Buddha and Hindu god statues strewn throughout it. 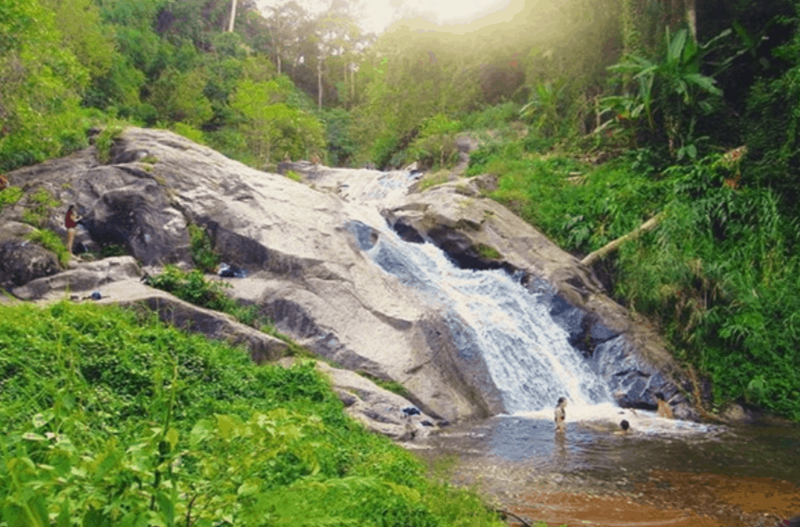 If you are looking for a Southeast Asian getaway that is not a hotspot for tourism like Thailand or Vietnam then this is a good jaunt away from the crowds.